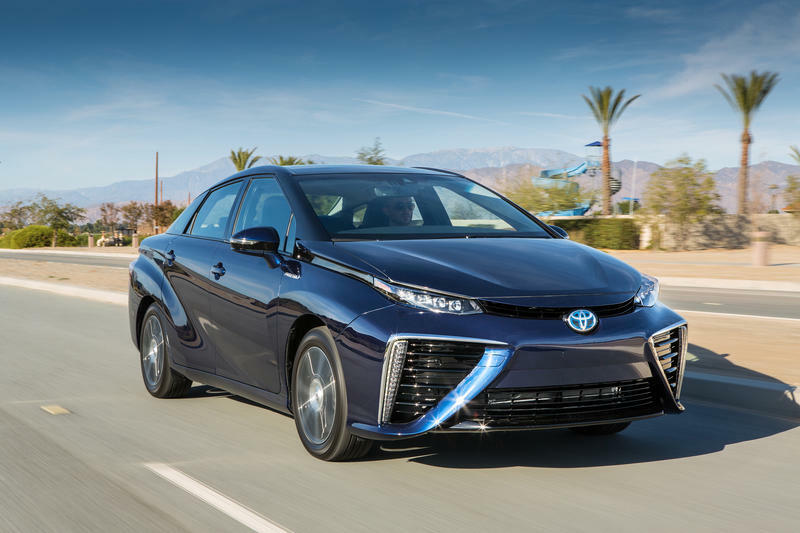 With a fuel cell stack that offers an impressive 3.1 kW/L of hydrogen, an electric motor that produces 153 horsepower, and fueling that takes only five minutes, the Toyota Mirai is arguably the most innovative hydrogen-powered vehicle built as of 2015. 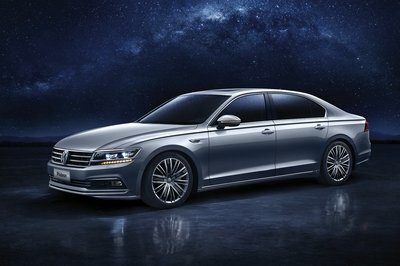 Add the fact that Toyota will fill up the Mirai’s tank for free for the first three years of ownership and we may have a game-changer on our hands. Needless to say, the news that Toyota plans to triple Mirai production due to high demand isn’t surprising if you ask me. But now that the futuristic four-door is already a hit, Toyota is focusing on raising even more awareness, this time among NASCAR fans. 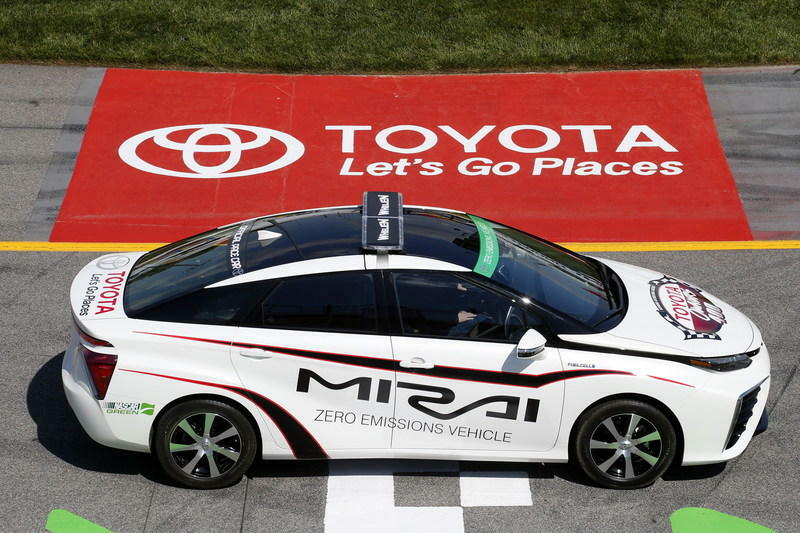 Relax, NASCAR won’t replace today’s V-8 cars with a fleet of Mirais, but it did accept a Mirai to pace the Toyota Owners 400 NASCAR Sprint Cup Series race at Richmond International Raceway. The race took place Saturday, April 25th, 2015, making the Toyota Mirai the first hydrogen-powered car to pace a NASCAR race. The governing body accepted the Mirai as a pace car after the mid-size sedan met NASCAR’s performance requirements for the 400-mile race. And for the first time in NASCAR history, a vehicle lapped an oval track using no gasoline and emitting nothing but water vapor. 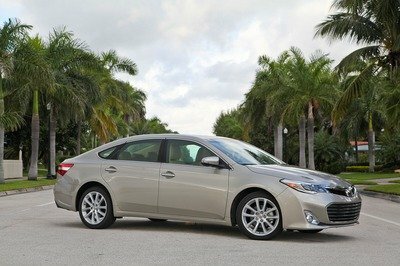 This is the second time Toyota brought alternative fuel technology to NASCAR, after the Camry Hybrid paced a full race back in May 2009. Continue reading to learn more about the 2016 Toyota Mirai Pace Car. 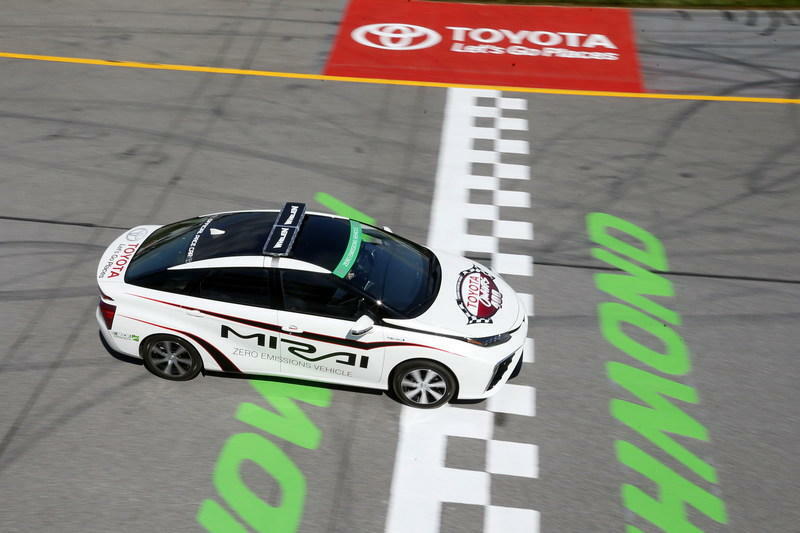 While the Mirai’s pace car act won’t change the way NASCAR works as a sport, it might change the audience’s perception about hybrid-fueled vehicles. Most drivers still don’t see hybrid as a viable alternative to gasoline or diesel, but the Mirai’s ability to travel up to 300 miles on a full tank might just change a few opinions. 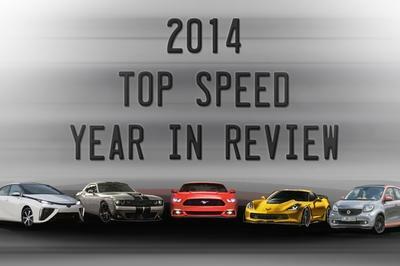 In short, this weekend’s NASACR Sprint Cup race was only a publicity stunt. But there’s nothing wrong with that. Read more about the Toyota Mirai in our detailed review here. 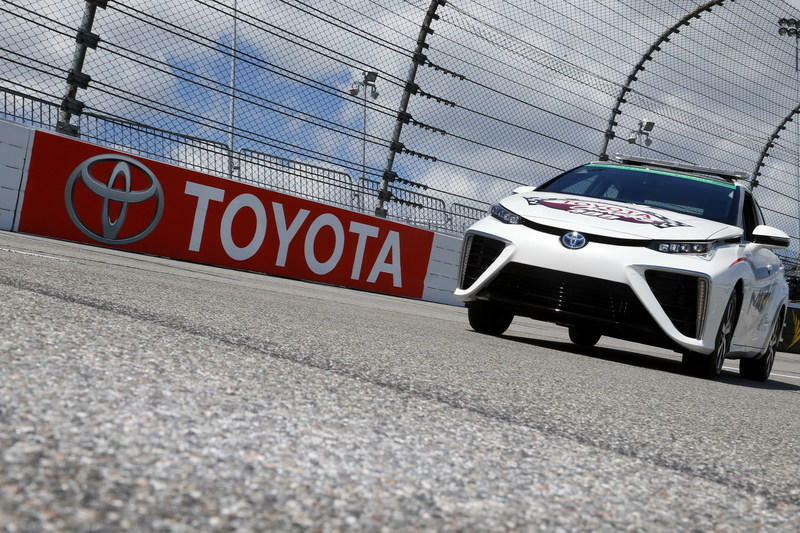 Toyota today announced the 2016 Toyota Mirai, a hydrogen fuel cell electric vehicle, will pace the Toyota Owners 400 NASCAR Sprint Cup Series race at Richmond International Raceway on Saturday night, April 25.